Awesome pic! Thanks for sharing! Thanks! 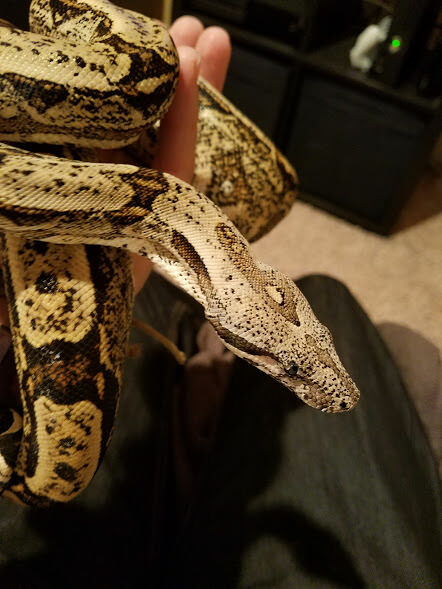 This is my wife's snake technically. We went in as a family and the vote winner ended up being a cinnamon ball. She was still talking about the boa the next day so I went out at lunch and bought a new setup and reserved the snake. Took her to pick it up after she got home from work. Any excuse to add more! lol, crap. I will jsut have to keep her clean! [QUOTE=IDvsEGO;1034290]lol, crap. I will jsut have to keep her clean!